Why Is Rob Thomson Still Employed? The Yankees re-signed Brian Cashman to a three year deal this past week, and immediately went about the task of finding scapegoats for their 2014 shortcomings. The first two names to go were hitting coach Kevin Long, and First Base coach Mick Kelleher. I’m sure we all understand why Long was let go; the offense has been putrid the last two seasons. With Kelleher, you could make some kind of argument based on getting some new blood in there, or someone who can better help the base runners. There’s no plausible reason why Third Base coach Rob Thomson hasn’t been fired yet. I don’t have to dig through statistics to prove to you that the Rob Thomson was the worst Third Base coach in baseball last year, but guess what? I did! Joe Vitulli of Yanks Go Yard points out that the Yankees had more than 20 base runners thrown out at the dish last year. That was bad enough to be the most in the entire league. The most! In the league! Vitulli also points out that the Yankees lost four games in extra innings last season during which Thomson got a guy thrown out at the plate. They also missed out on the second Wild Card by four games. Now, you can’t blame the coach for every one of these outs at home, or completely for missing the playoffs. After all, the Yankees had a lot of guys on the roster last year that plugged up the base paths. The problem is that, often times, Thomson was sending all of the terribly slow runners on the Yankees’ roster home on close plays, and they got thrown out more often than not. 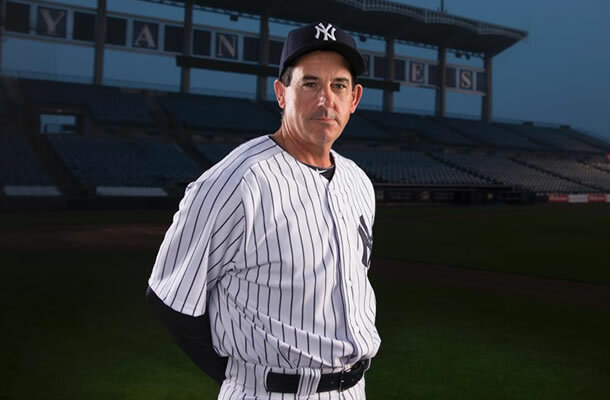 Did I mention that Thomson is also the base running coach for the Yankees? I’m not sure if anyone really watched the games this season, but I felt like the Yankees were making game changing base running gaffes two or three times a week. Again, you can only blame the coaching so much, but if you can fire Long because the hitters didn’t hit, and you can blame Kelleher for whatever it is they are blaming him for, you can surely fire Thomson because of base running mistakes made by the players he’s responsible for teaching base running to. Right? If the Yankees are serious about making some changes, then they should be getting rid of everyone and anyone who contributed to the team’s losing ways last year. Thomson is one of the biggest violators. Maybe they want to move him somewhere else within the organization? He can’t do as much damage as the First Base coach… I guess time will tell, but this one is puzzling me.